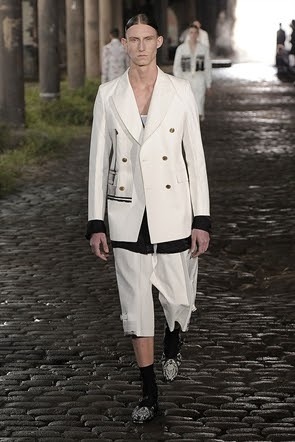 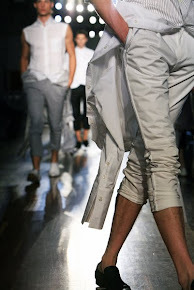 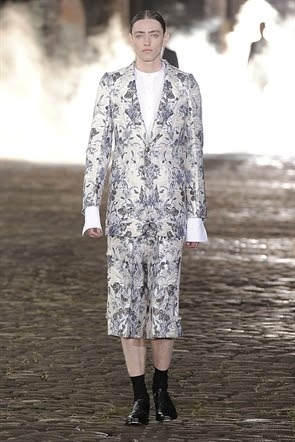 Yesterday at London Collections Men Fashion House Alexander McQueen presented its spring-summer 2014 colllection. 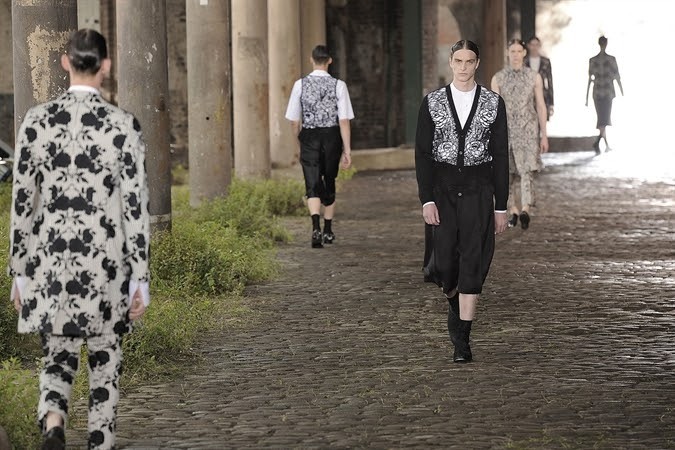 A dreamy, decadent and romantic collection unfurled, in true McQueen style, on a cobblestone catwalk underneath an abandoned railway track. 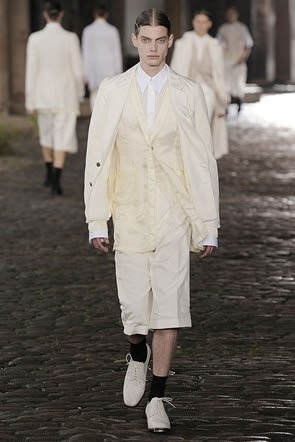 There was manufactured mist, genuine weeds and grass sprouting beyond the dampened cobbles, and a mood of moth-eaten glamour. 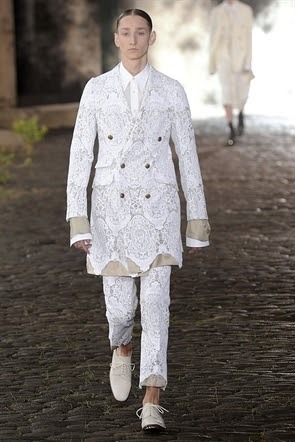 Creative director Sarah Burton took the McQueen skull motif and worked it into a cotton lace for black or white frock coats that she paired with baggy shorts, a meeting of Marcel Proust and Los Angeles skater boy. 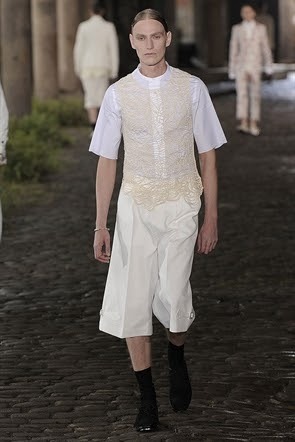 The lace, like a tangle of spiders’ legs, worked its way into sleeveless vest tops, which were also worn over the ubiquitous wide-legged shorts. 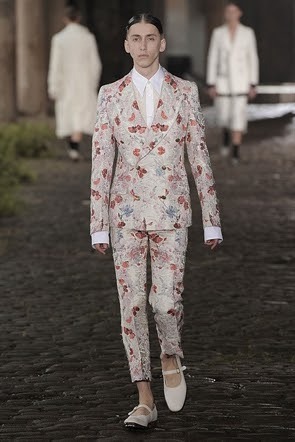 Suits, their trousers cropped just above the ankle, were fashioned from fraying floral jacquards or made from cotton ticking embroidered with black roses.